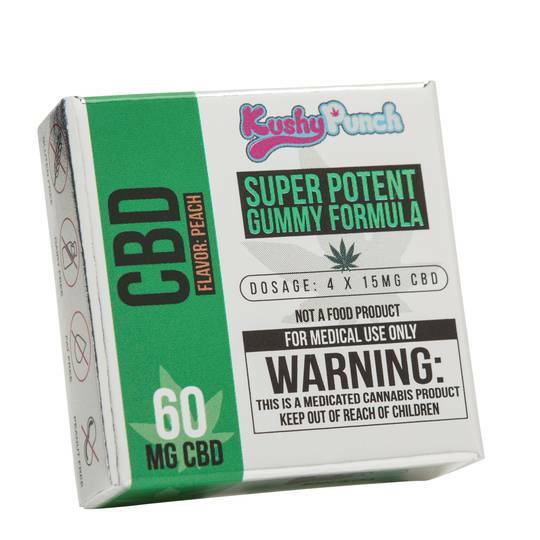 Kushy Punch brings you Kushy CBD! The power of 99.9% Pure CBD Isolate teams up with the crisp taste of Peaches. Light yet distinctive in flavor, these gummies are bursting with full-bodied fruit essence. Providing unequivocal pain relief, without the euphoric effects of THC, CBD is the next wave of alternative medicines. Throw your PILLS AWAY!